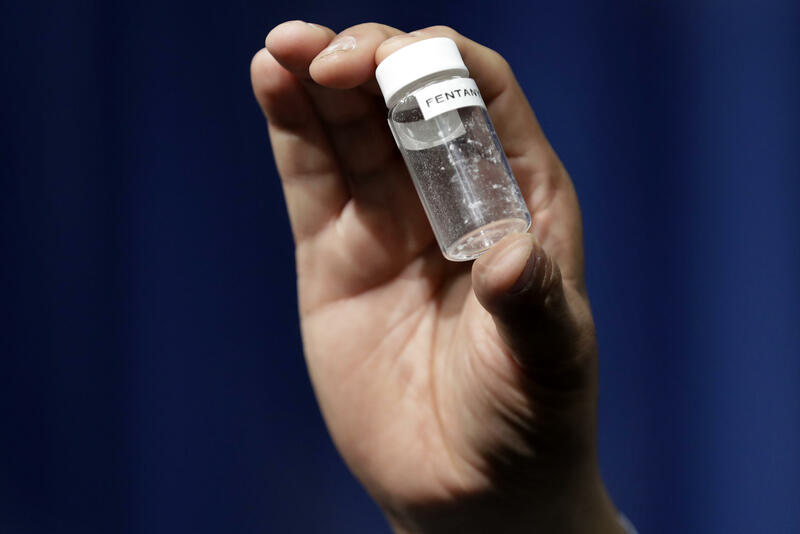 The U.S. Centers for Disease Control and Prevention says fentanyl can be 50 times more potent than heroin. The army said the truck was heading from Mexico City to Tijuana when it was stopped at checkpoint in San Luis Rio Colorado, near Yuma, Arizona. President Trump is scheduled to travel to the area Tuesday afternoon. Another truck was found further west along the border carrying 60.6 pounds of heroin. Opium poppies are grown in Mexico while fentanyl is often imported from China and smuggled into the United States. To put Saturday's seizure in perspective, the Defense Department said that in the previous 4½ years, its total seizures of fentanyl had amounted to 106 pounds and about 36,000 fentanyl pills.